A good CMS or a blogging platform often makes publishing of web content easier and cost effective for managers. And today, publishing content on a regular basis makes a great part of marketing your business online. 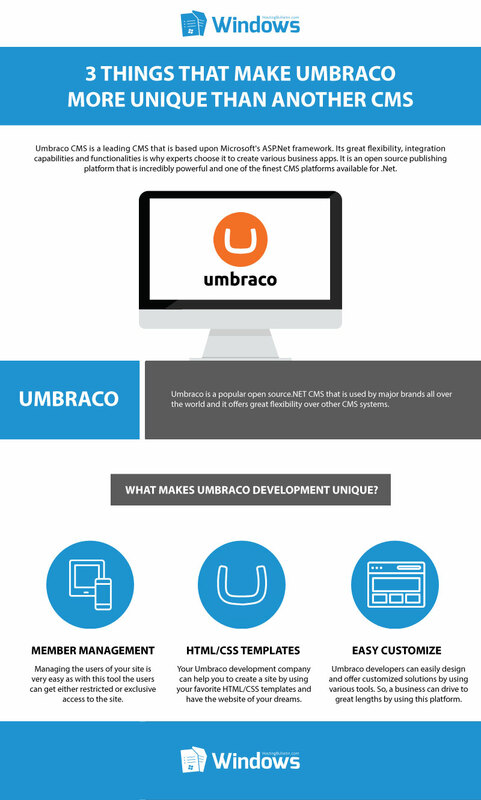 Umbraco CMS is a leading CMS that is based upon Microsoft's ASP.Net framework. Its great flexibility, integration capabilities and functionalities is why experts choose it to create various business apps. 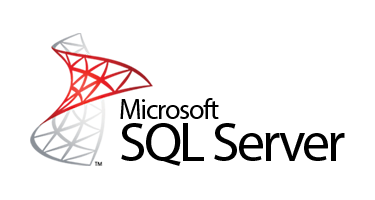 It is an open source publishing platform that is incredibly powerful and one of the finest CMS platforms available for .Net. In this article, let's take a look at why business owners wish to choose Umbraco development for their upcoming projects. It offers an ultimate web experience for users and is a good option because it is highly reliable and secured and also offers a better performance. What makes Umbraco development unique? Member management: Managing the users of your site is very easy as with this tool the users can get either restricted or exclusive access to the site. This is the much needed feature for the stores, portals, organizations that need to give different types of access to its users or members. HTML/CSS templates: Your Umbraco development company can help you to create a site by using your favorite HTML/CSS templates and have the website of your dreams. The framework also offers various tools that can transform your online site into a fully functional and robust online podium that facilitates you to easily sync up with other environments. Concierge is another great tool that helps to boost Umbraco customization. It allows the programmers to keep a track of all that is installed and the things that are in use currently. It also helps to monitor action handlers together with any third party tools and helps to know what is working in the site. Umbraco customization is easy: Umbraco developers can easily design and offer customized solutions by using various tools. In contrast to other ASP.Net CMSs like WordPress, Drupal, Joomla, developers can easily provide dynamic solutions that are perfect solutions for business owners. It is because of its endless possibilities that a business can drive to great lengths by using this platform. • Even if your original business site is written in English, Umbraco offers multilingual support to add many other languages to target a wider market. • It is by using Umbraco that you can easily schedule the content to appear at specific times with ease and automatically get it published at the time you set. • The framework also has a version control system that helps users to easily roll back to any previous version or a page with great ease. • The Umbraco editor is designed to be as simple as possible and offers a familiar look and feel with the toolbars and buttons. Umbraco is a popular open source.NET CMS that is used by major brands all over the world and it offers great flexibility over other CMS systems.